Basseterre, St. Kitts (CUOPM) – Lawyers representing the Government in the case brought by the opposition Timothy Harris bloc against the Constituency Boundaries Commission said there is no claim of gerrymandering. “There is no charge or allegation of gerrymandering in this case and that is significant because Nr. 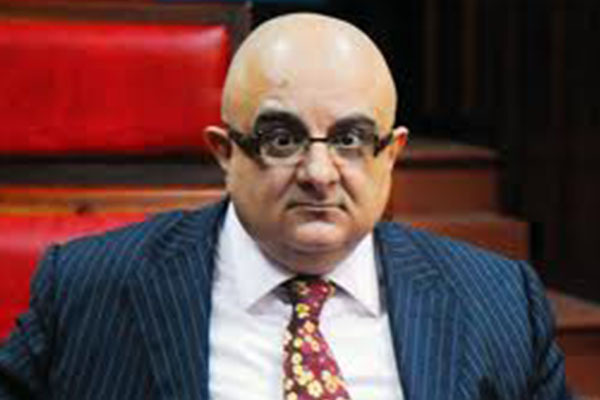 Vincent Byron (one of the Opposition members on the Constituency Boundaries Commission), who is a senator and a member of the People’s Action Movement (PAM) was a member of the Commission and he has given evidence on behalf of his political party and there is no such allegation,” Senior Counsel Anthony Astaphan said in an interview with ZIZ News. He said the situation in St. Kitts and Nevis is different to the one that exists in Antigua and Barbuda where he represents the Antigua Labour Party (ALP) where there is a specific charge of gerrymandering. “In St. Kitts (and Nevis), the allegation of gerrymandering would be extremely difficult to make because there are many of the constituencies where you cannot go left because of the sea and you cannot go right because there is the mountain and nobody lives there. The only possible way – and this is my experience from the last case that we were unsuccessful in 2009 – is it to push the Basseterre basin out or Sandy Point or the Prime Minister’s Constituency – which is St. Paul’s down? You cannot go left and you cannot go right ……. You have the Labour populated areas in one end and the other end and in between is the People’s Action Movement (PAM), constituency which they hold or they would like to hold,” said Astaphan, who added that there is no other way that it can be done in St. Kitts either than push it up or push it down if we want to arrive at the equality in the boundaries which is the mandate of the Constitution. “In any event, there is no allegation of gerrymandering. None. The case is being fought on three planks – non-consultation, bias and the Census Report. There is no allegation of gerrymandering,” said Senior Counsel Roger Forde. Mr. Astaphan pointed out that any notion that there had been improper process or bad faith on the part of the Constituency Boundaries Commission had further been rejected even by the High Court. “The Boundaries Commission has done what is right. They did not select areas based on political data or election results or because of who win and who lost. Mr. Byron has claimed in the minutes that he is there to monitor the interest and protect the interest of the People’s Action Movement (PAM). Had that been done, he would be the first one charging down the hill. That was never said,” Astaphan told ZIZ News. The five members are: Hon. Dr. Earl Asim Martin and Hon. Marcella Liburd, appointed by His Excellency the Governor General on the recommendation of the Prime Minister, the Hon. Dr. Denzil L. Douglas; the Hon. Vance Amory and Sen. the Hon. Vincent Byron Jr., appointed by the Governor General on the advice of the Leader of the Opposition, the Hon. Mark Brantley and the Chairman, Mr. Peter Jenkins, appointed by the Governor General following consultation with the Prime Minister and the Leader of the Opposition. All the members, except Mr. Byron signed the Report, which was passed in the National Assembly.